10950 SW 75 Terrace, Ocala, FL.| MLS# 543220 | Spruce Creek Realty...Retirement Communities in Florida, Resale Homes In Spruce Creek South, The Villages, Stonecrest, Del Webb. Attractive Pool Home In Palm Cay. Pool w/bird cage added in 2013. 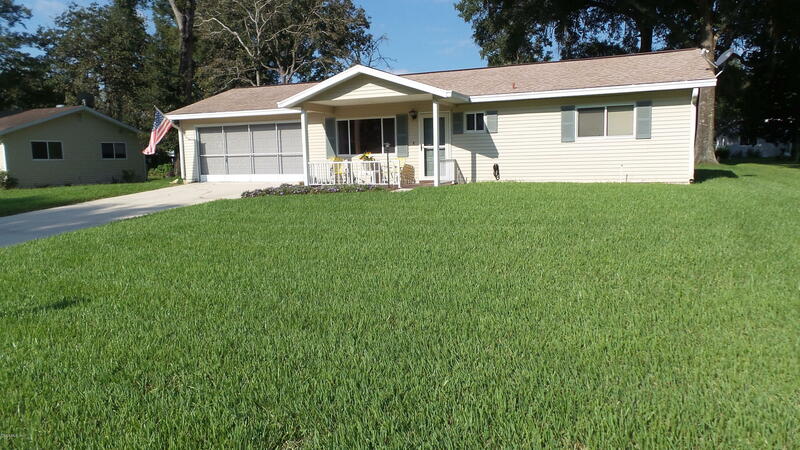 Upgraded 2 Bedroom, 2 Bath home w/laminate flooring & tile. Master bath has been remodeled adding a unique roman shower. Laundry moved to garage in order to have extra cabinets & pantry for your kitchen. Lanai has been enclosed with access to the in-ground pool area. Perfect home for anyone desiring a two bedroom, two bath, double garage home & that wonderful in-ground pool. Palm Cay is an active adult community close to shopping, banking, medical facilities & of course, numerous well known restaurants.